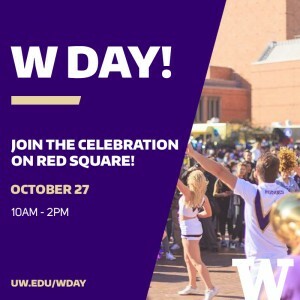 On Oct. 27, 2017, the UW community is invited to join together for W Day. In 2011, W Day was established to commemorate the University’s 150th anniversary. Now the tradition lives on as a celebration of everything purple and gold, coinciding with Homecoming. We are inviting our audiences to join us on campus, online and in communities around the globe for a day of Husky pride and giving — and see how what you care about can change the world. 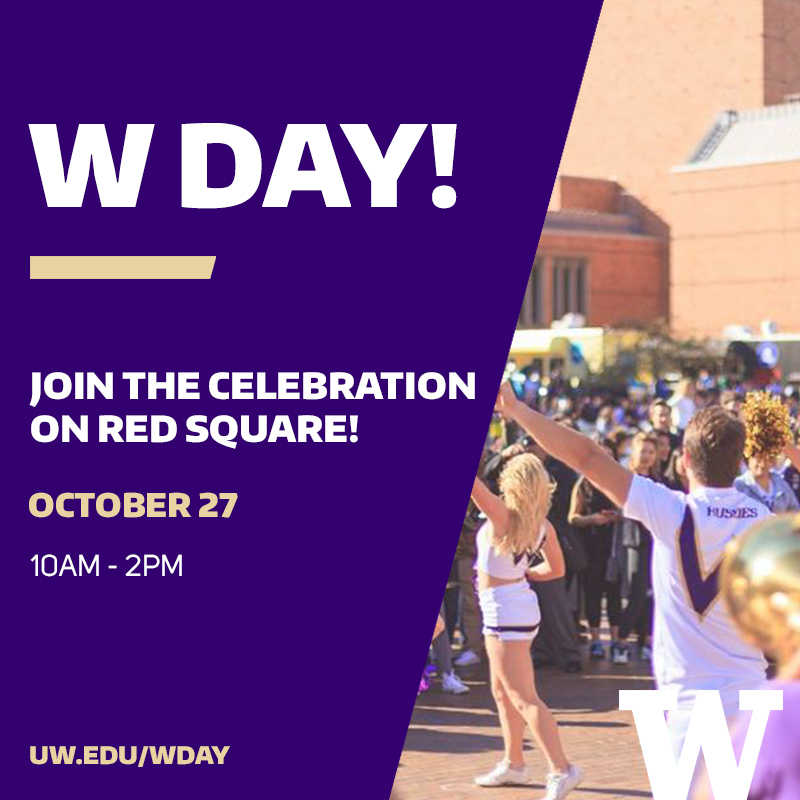 Help us spread the word to fellow Huskies to join us on campus, online and in the community for the celebration of W Day! What you care about can change the world. The UW community is working to create a world of good. Join us today. Celebrate the UW and keep the purple and gold tradition alive on Friday, Oct. 27. Join your fellow Huskies on campus in Red Square from 10 a.m. to 2 p.m. for music, games, giveaways, food and more! Share your fun photos with #WDay. 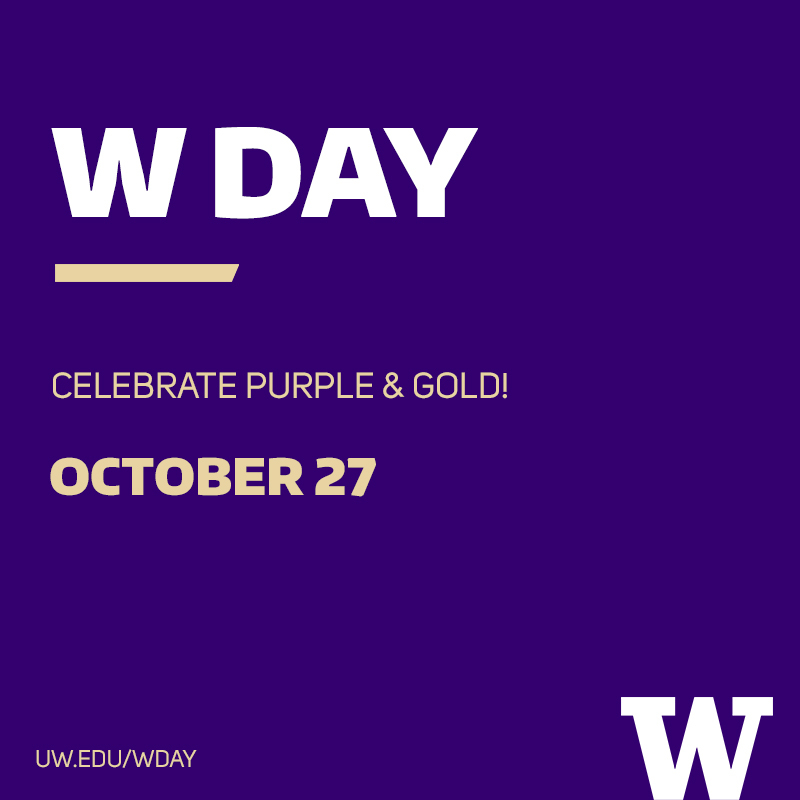 Celebrate the UW and keep the purple and gold tradition alive on Friday, Oct. 27. Wear your best Husky gear and share your pride with us online using #WDay. Stay tuned for the fun on social through the weekend! 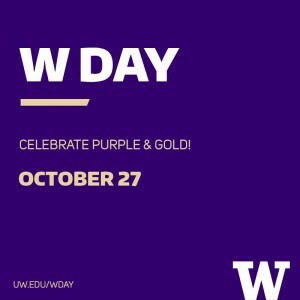 On Oct. 27, join us on campus, online and in communities around the world for W Day — a celebration of everything purple and gold that kicks off Homecoming Weekend. See how you can participate at uw.edu/wday.